Snooze with the Sea Life is the perfect get-a-way for any organization, club or large family group. 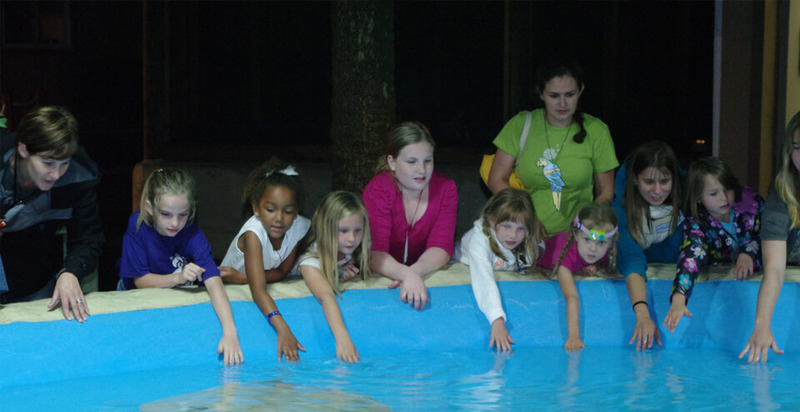 The overnight program kicks off with a nighttime tour of the park, where you’ll learn about nighttime habits of marine animals and hear fun stories about your favorite flippered friends. Before bedtime, you’ll watch a short movie, and in the morning you’ll enjoy a very special, private session with our dolphin(s). Children must be at least 6 years old to participate and should be able to speak and understand English. We require at least 20 participants per snooze, and one adult is required for every 10thchild.